The best way to avoid this one is to pay your balance (at least your minimum payment required) prior to the due date. Keep track of when your payment is due using alerts or your statement. A partial payment or not paying the minimum amount due may trigger a late fee. Skip late fees, checks, and postage costs with our free Bill Pay. Many credit cards with extensive rewards programs charge an annual fee. Usually, the better the perks on the card, the higher the fee. If you don’t use the perks on the card, they may not be worth your while – or your payment of an annual fee. Do your homework. There are credit cards that don’t have annual fees, so if this is something you want to avoid, you can always make a change. Our DuGood credit cards don't have an annual fee! 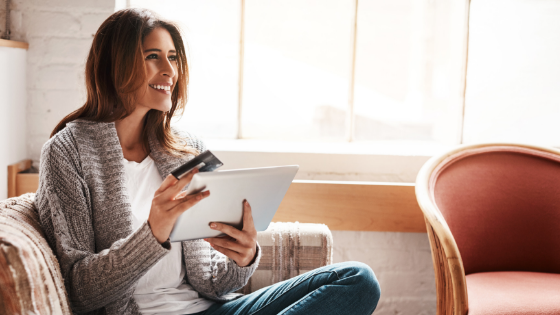 If you’re trying to consolidate your credit card debt into one card, you may be charged a fee for doing so – in some instances, up to 5 percent of the balance you’re transferring. But, there are institutions that don’t charge this fee. You can also take advantage of promotions that waive the balance transfer fee when you transfer your balance – you can’t beat that! You won't pay a balance transfer fee with DuGood! If you withdraw money from an ATM with your credit card, you’ll pay a fee, and sometimes a higher interest rate on those funds. In some cases, you may be charged interest the moment you withdraw cash – there is no grace period. Need cash in a pinch? DuGood won't charge you a cash advance fee! This fee is charged if you use your card to make a purchase that takes you over your credit limit. In addition to the cost of the fee, you may have a negative impact on your credit score. Always try to pay down the balance of your cards. And, if you’re getting close to your limit, consider asking your creditor for a credit limit increase. You won't find over-the-limit fees on a DuGood credit card. No one wants to pay unnecessary fees. Take the time to review your credit card(s) to be sure you understand exactly what fees may be charged. If you need to make changes, it’s the perfect time to do so.